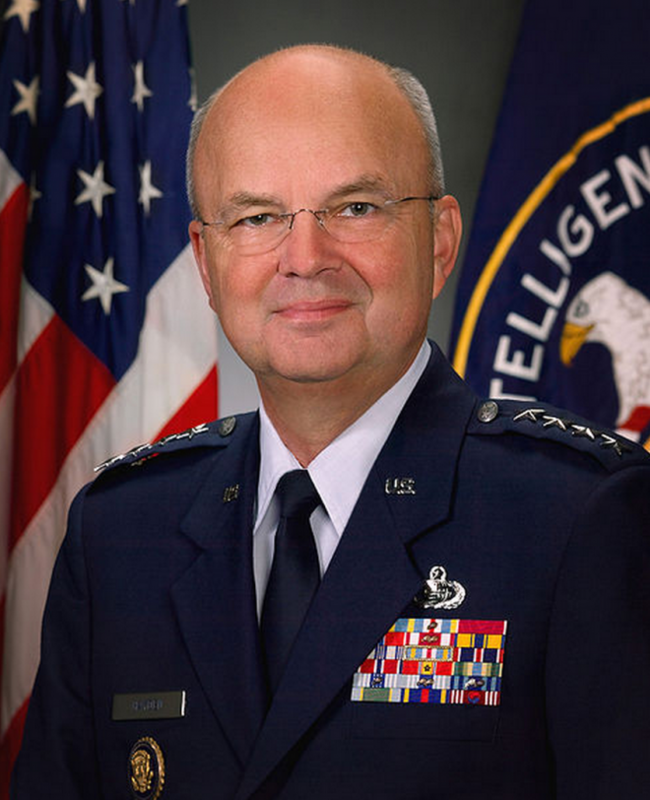 President Barack Obama has closely followed the policy of his predecessor, President George W. Bush, when it comes to tactics used in the “war on terror” — from rendition, targeted killings, state secrets, Guantanamo Bay to domestic spying, according to Michael Hayden, Bush’s former director of the Central Intelligence Agency and the National Security Agency. “But let me repeat my hypothesis: Despite the frequent drama at the political level, America and Americans have found a comfortable center line in what it is they want their government to do and what it is they accept their government doing. It is that practical consensus that has fostered such powerful continuity between two vastly different presidents, George W. Bush and Barack Obama, when it comes, when it comes to this conflict,” Hayden said Friday while speaking at the University of Michigan. The comments come two months before the Nov. 6 elections, where Obama, a Democrat, faces off for re-election against GOP challenger Mitt Romney. And Hayden’s remarks give credence to what many who cared about the topic had already realized: Obama largely mirrors Bush when it comes to the war on terror. But Hayden, in a nearly 80-minute lecture posted on C-Span, said Obama came to embrace Bush’s positions. Both Bush and Obama said the country was at war. The enemy was al-Qaida. The war was global in nature. And the United States would have to take the fight to the enemy, wherever it may be, he said. “And yet, you’ve had two presidents, the American Congress, and the American court system, in essence, sign up to all four of those sentences,” Hayden said. He said that was the case because, in one differing path between the two presidents, Obama in 2009 closed CIA “black sites” and ratcheted down on torturing detainees. But instead of capturing so-called “enemy combatants,” President Obama kills them instead, Hayden said. Obama’s kill list has even included American citizens. Hayden noted Obama campaigned on promises to close the detention center in Guantanamo Bay, and to bring more transparency to government. Obama failed to close Guantanamo and continued the use of the often-cited “state secrets” defense in court cases challenging the government’s policies on the war on terror. “Despite a campaign that was based on a very powerful promise of transparency, President Obama, and again in my view quite correctly, has used the state secrets argument in a variety of courts, as much as President Bush,” Hayden said. He noted that he appreciated Obama’s invocation of the state secrets privilege, as Hayden himself was named as a defendant in some of the cases. Hayden also noted that Obama, as an Illinois senator in 2008, eventually voted to legalize President Bush’s once-secret warrantless spying program adopted in the wake of the September 11, 2001 terror attacks. The measure also granted America’s telecoms immunity from lawsuits for their complicity in the spy program. “The FISA Act not only legitimated almost every thing president Bush had told me to do under his Article II authorities as commander in chief, but in fact gave the National Security Agency a great deal more authority to do these kind of things,” Hayden said. The law, now known as the FISA Amendments Act, expires at year’s end. The Obama administration said congressional reauthorization was the administration’s “top intelligence priority,” despite 2008 campaign promises to make the act more privacy-friendly. Hayden, who said he was an adviser the Romney presidential campaign, said Romney would largely follow Obama’s same path, too, if Romney was elected.